I sometimes need to know how to specify a thread either to build a product or to repair something. Some examples are the thread on the SDU-5/E Distress Strobe Light needed in order to make the 5BA battery adapter for it. Or the threads for the battery cap for the GVS-5 Night Vision Goggles in order to make the 5567f battery adapter. The Wild T2 theodolite has a missing screw and there's a good screw that I'd like to match, but it's not a standard metric size, so what size is it? In a similar way what are the threads on the PVS-4 Night Vision Scope battery cover? It happens that at this time I've also been working on using microscope objectives on a camera to take micro photographs, so have learned about the many ways a microscope can light a subject. It's not clear how many of these this microscope can do. Some of the objectives may work on this microscope. 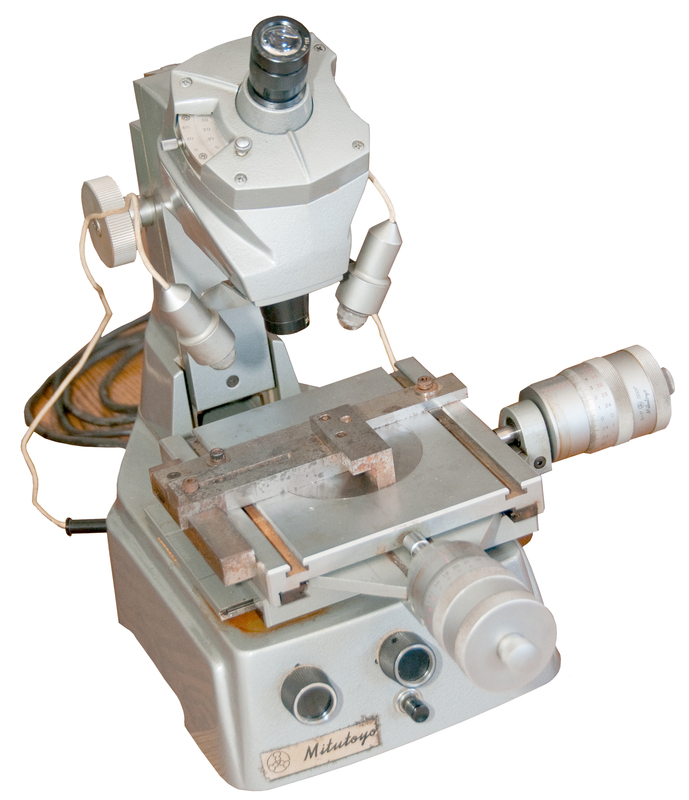 Mitutoyo still makes microscopes for toolmakers. 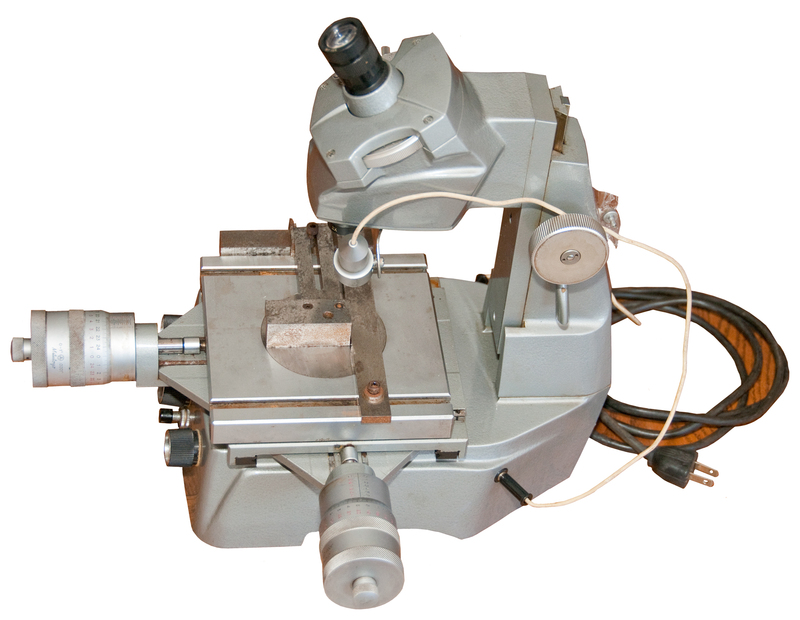 On this Toolmakers Measuring Microscope each direction of the X-Y stage is driven by a micrometer head allowing making X-Y measurements with a resolution of 0.0001". 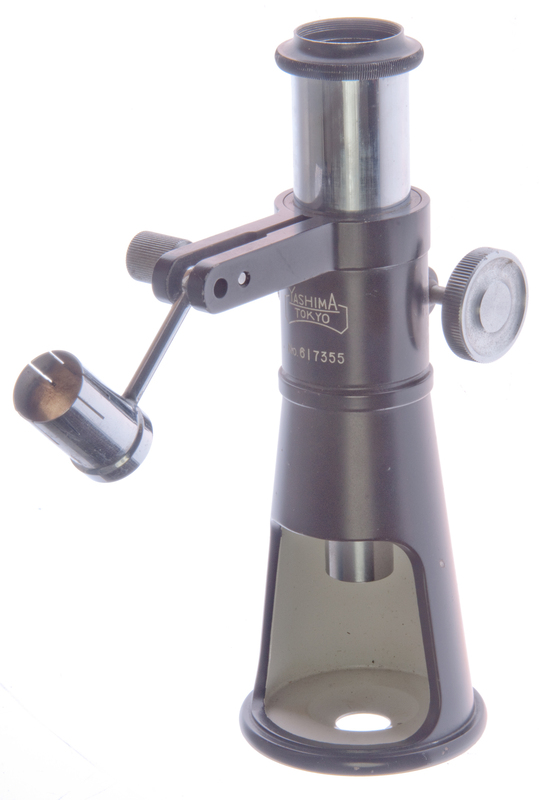 The viewing eyepiece contains a calibrated angle scale to measure between zero and three hundred and sixty degrees allowing the angle of a male thread to be measured to about 6 minutes of angle. It looks like there's no way to make Z-axis measurements in the same setup, but that can be done by turning the object ninety degrees. The eyepiece is marked 15X and has a 23mm barrel, so looks like RMS standard. The objective is marked 2X and has 25mm threads. Maybe the same as the Nikon CFInn series. 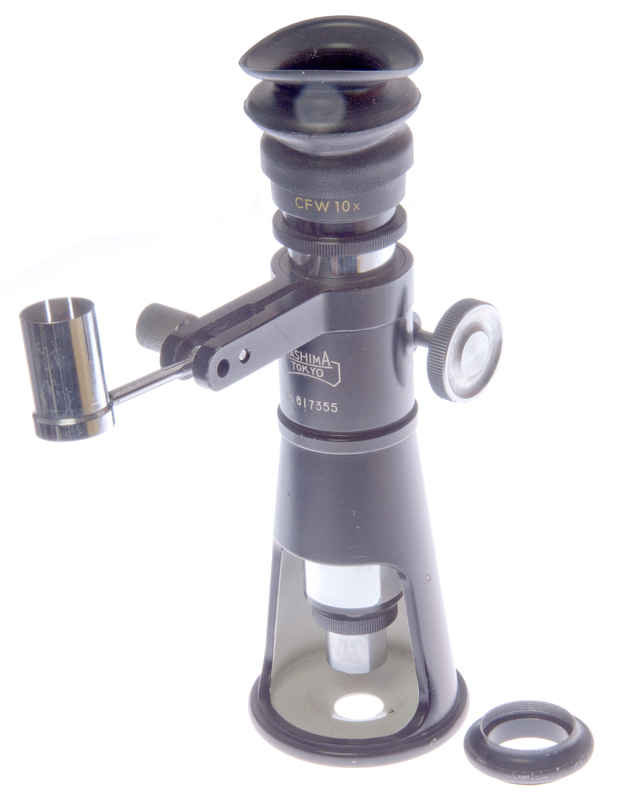 The objective does not screw into a t-mount to 25mm microscope adapter, but that may mean the adapter is not threaded properly or it may be because the objective has different threads. I'll know when the Nikon CFInn lens arrives. The built-in transformer - rheostat supplies about 7 VAC to the two top mounted lamps. There are a couple of GE 46 Edison based lamps. One of the lamps did not light up, but that was because it had unscrewed, so tightening it fixed it. The lamps each have a single wire feeding them so depend of the grounding of the bracket for the return electrical path. The left knob adjusts the brightness of the left lamp and the right know controls the right lamp. Not sure what the center knob does. The center push-on/push-off switch turns them on and off. The X & Y Micrometers are Mitutoyo 0 to 1" types that read out to 0.000,1" or a tenth of a mil. It takes a lot of turns to move the plunger 1". The left T-nut is jammed in it's slot so I've dosed it with some Kroil and we'll see how it is tomorrow. The degree wheel is very stiff. It needs to be cleaned and lubricated. 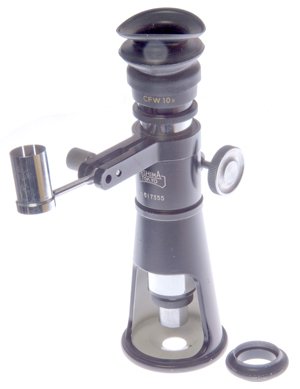 standard 10x microscope eyepiece in tube. Illuminated Direct Measuring Microscopes are still being sold by Edmund Optics. The hollow tube on the ball joint are is to hold a pen light flashlight. Got this one very reasonably because it's missing the eyepiece. I was expecting that it would take an ISO standard eyepiece, but that's not the case. It requires an eyepiece with a male thread. The ID of the thread on the focus tube is 24.3mm. If you know about the needed eyepiece let me know.